Chungha maintains her winning streak on OH! Chart for three weeks consecutively, obtaining a triple crown! In the digital category, MC the Max leads with After You’ve Gone, as they scored 48,907,313 points even after a long hiatus. Second place goes to Chungha, who managed to consistently succeed with Gotta Go with a score of 44,798,276 points. Finally, Jvcki Wai, Young B, Osshun Gum, and Han Yohan place third, scoring 38,953,819 points with their song DDING. In the physical sales category, Astro reigns in first place with 64,082 copies of All Light sold. Behind them, Gfriend demonstrates their class, selling 37,318 copies of Time for Us. Rounding out the top three is HUTA, who sold 18,789 copies of HUTAZONE. In the voting category, Onehallyu users have proven that talent always wins. Showing that they are still one of the strongest girl groups, Gfriend received the highest number of votes with Sunrise with 62 votes. Next is Chungha‘s Gotta Go, a masterpiece that deserves all 56 votes of support. And finally, Jennie‘s SOLO lands in 3rd place with 37 votes, a consistent favorite among many users. 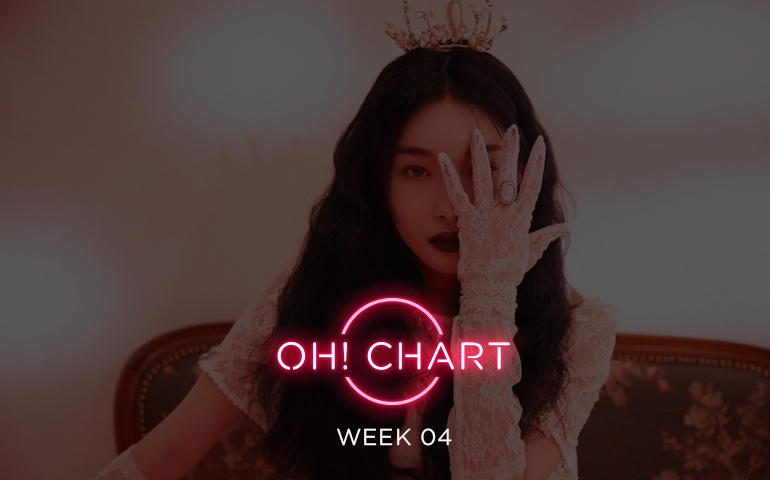 Chungha cements her status as an unbeatable contestant as she has finally laid claim to her first triple crown with Gotta Go. She also surprised her fandom again with three music show wins as Byulharangs were initially expecting only one win. Gfriend comes in second with their quality and beautiful song, Sunrise. Finally, 3rd place goes to Jennie, with her strong release Solo. Chungha has exceeded all expectations with three consecutive wins and her first ever triple crown on OH! Chart! Who will be the next artist to obtain a triple crown after Chungha? Let us know your thoughts and predictions in the comments down below. Continue to stream Gotta Go and give Chungha all the support you can!